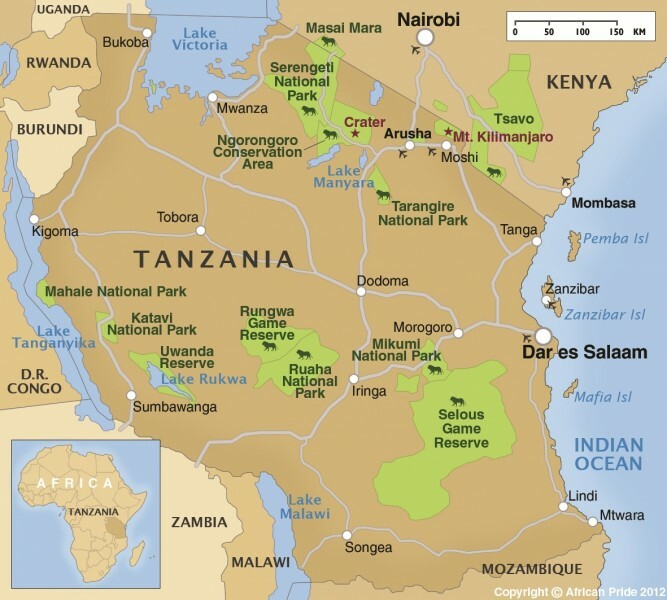 ​The 'Northern Circuit' is made up of four national parks: Tarangire, Lake Manyara, Ngorongoro and, perhaps most famously, the Serengeti. Lake Manyara and Tarangire are often included in safari itineraries as they are ideally located near to Arusha, the starting point for a great many tours. Lake Manyara lies at the foot of the Great Rift Valley escarpment and Tarangire, with its grasslands and floodplains lies to the southeast. Ngorongoro Crater, some 20km across and 600m deep, has the greatest permanent concentration of wildlife in Africa including elephant, lion, wildebeest and buffalo. 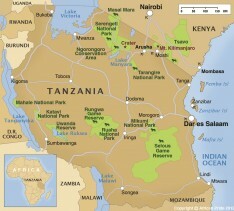 Serengeti simply means 'open space' which is the perfect description of the landscape. Here is where you can witness the extraordinary annual Great Migration of wildebeest and other grazing herbivores. Subject to weather conditions and location of your camp, there is often an optional hot air balloon ride available. You are transferred before dawn to the launch site and, as the sun rises, you float over the savannah watching the animals below.